Click on the Pass due settings. Enter the number of days you want a specific category to be considered pass due. 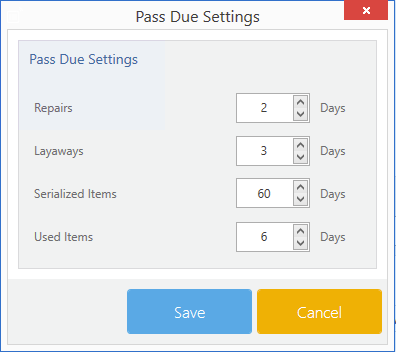 For example: If you want the value of your used items not to deteriorate, you may set the pass due days to a month or two months. Once you're done click save.